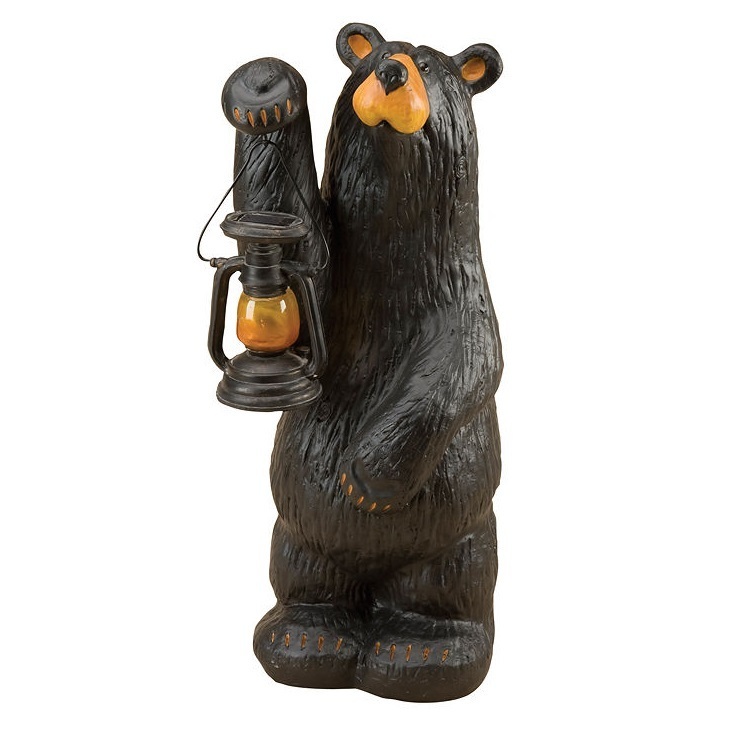 Big Sky Carvers Bearfoots series Koleman Grand Bear statue is perfect for greeting all of your friends and family, inside or on the porch. He is made of hand cast polyresin and holds a metal and glass lantern with solar powered LED light. He stands 25 inches high.